Happy Children's Day 2017: President Ram Nath Kovind, Vice President Venkaiah Naidu and Prime Minister Narendra Modi were among the nation's leaders to pay homage to India's first Prime Minister Pandit Jawaharlal Nehru on his birth anniversary and to wish children on the occasion of Children's Day or Bal Diwas. New Delhi: Politicians took to Twitter on Tuesday to pay homage to India's first Prime Minister Pandit Jawaharlal Nehru on his birth anniversary and to wish children across the nation on the occasion of Children's Day or Bal Diwas. November 14 marks the birth anniversary of Pandit Nehru, who was born in 1889. Chacha Nehru, as he was fondly referred to by many, was known for his love and affection for children. After his death in 1964, it was decided that November 14 would be celebrated as Children's Day to honour his memory and legacy. On Twitter today, President Ram Nath Kovind, Vice President Venkaiah Naidu and Prime Minister Narendra Modi were among the nation's leaders to honour Pandit Nehru's memory on his birth anniversary and also extend their greetings to children across the nation on Children's Day. In India, the hashtag #ChildrensDay has been the top trending hashtag on Twitter all morning. There are two lasting gifts we should give to our children - our rich culture and traditions and good education to fulfil their aspirations. Happy Children's Day. Tributes to Pandit Jawaharlal Nehru on his birth anniversary. My respectful tributes to the great son of India and our First PM Pt. #JawaharlalNehru on his Jayanti. Ensuring Human Rights & Liberties to citizens will be the rightful homage to this charismatic leader and maker of Modern India. Remembering Pandit Jawaharlal Nehru on his 128th birth anniversary. His contribution to the nation can not be forgotten. Humble Homage to Pandit Jawaharlal Nehru. His unparalleled contribution to build India and its institutions brick by brick, will be remembered for eternity. On #BalDiwas let us rededicate ourselves to proliferate further awareness about various facets of child rights & securing these rights for our children. #BalDiwas greetings to everyone. I pay tributes to first Prime Minister of India Pt. #JawaharLalNehru on his birth anniversary. Interestingly, Children's Day wasn't always celebrated on November 14 in India. In fact, United Nations' Universal Children's Day, which was established in 1954, is celebrated on November 20 each year to promote international togetherness, awareness among children worldwide and improving children's welfare. India too previously celebrated Children's Day on November 20. That is, until the death of Pandit Nehru in 1964, when it was decided to celebrate the leader's birthday as Bal Diwas or Children's Day in India. 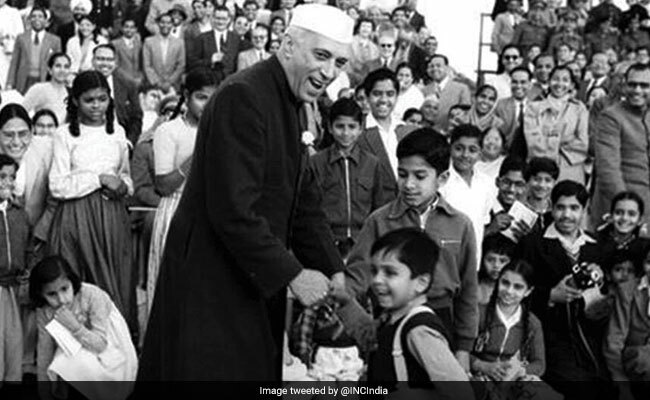 On Children's Day, or Bal Diwas, children across India honour the memory of Chacha Nehru. Schools and colleges across India often organise fun-filled activities to mark the occasion of Children's Day. How are you celebrating Children's Day today? Let us know in the comments section below.